Lockett caught two passes on two targets for 34 yards and a touchdown in Sunday's 28-14 win over the Lions. He rushed twice for 13 yards. Analysis: Lockett still hasn't surpassed five receptions or 100 receiving yards through seven games, so his fantasy value has been touchdown-dependent. Luckily for fantasy owners, he has six scores through seven games. He'll face the Chargers at home in Week 9. Lockett caught three of four targets for 13 yards and a touchdown in Sunday's 27-3 win over the Raiders. He also ran for seven yards. Analysis: Lockett was a dud for three quarters, but he caught a 10-yard touchdown pass five seconds into the fourth quarter to give fantasy owners consolidation. He fell behind Doug Baldwin, who caught six of eight targets for a team-high 91 yards but no score. The team will enter a Week 7 bye week. Lockett caught three of five targets for 98 yards and a touchdown in Sunday's 33-31 loss to the Rams. 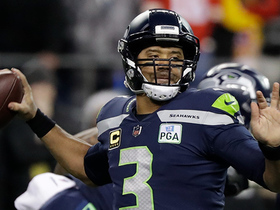 Analysis: Russell Wilson only attempted 21 passes but hooked up with Lockett on a couple of pretty deep tosses, including a 39-yard touchdown and 44-yard reception. Seattle's ground attack has been productive in each of the last three games, limiting Lockett's opportunities, but he remains WIlson's most trusted deep threat -- if not receiver, in general, with Doug Baldwin easing back into action. In Week 6, the speedy wideout will face the Raiders. 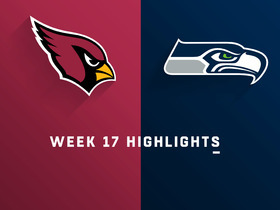 Lockett caught five of six targets for 53 yards and zero touchdowns in Sunday's 20-17 win over the Cardinals. Analysis: This was the first time this season that Lockett failed to find paydirt. On the bright side, Doug Baldwin returned from a knee injury, but Lockett didn't see a drop in targets. The fourth-year pro is still on pace for his best season yet, but he'll face a tough Rams defense Week 5. Lockett caught four of six passes for 77 yards and a touchdown in Sunday's 24-13 win over the Cowboys. Analysis: Lockett was having a quiet first half but scored on a somewhat wide-open 52-yard touchdown when the Cowboys blew their coverage before halftime. 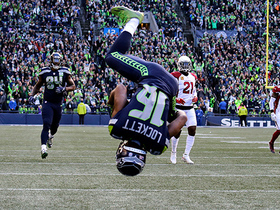 For the third straight game, Lockett scored, and he has seen a respectable 17 targets overall. Doug Baldwin (knee) remains out of the lineup, so Lockett should continue to lead Seattle in most receiving categories. The speedy wideout will face Arizona on the road Week 4. Lockett caught five of seven targets for 60 yards and a touchdown in Monday night's 24-17 loss to the Bears. 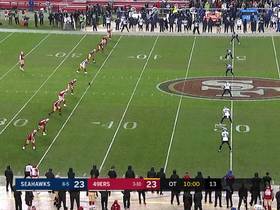 Analysis: Lockett's performance was highlighted by an excellent 19-yard grab in the back corner of the end zone to bring Seattle within a touchdown during the fourth quarter. That catch gave Lockett two scores in as many appearances this season, already matching his 2017 total. In leading the Seahawks in all major receiving categories Monday, Lockett continued to take advantage of Doug Baldwin (knee) being sidelined. Lockett caught three passes for 59 yards and one touchdown on four targets during Sunday's 27-24 loss to the Broncos. Analysis: Lockett showed off his deep-ball skills, hauling in a 51-yard bomb in the fourth quarter to put Seattle ahead. He accrued just eight yards on his other two catches. The 25-year-old will slot in as the team's No. 1 wide receiver until Doug Baldwin recovers from a sprained MCL that he suffered during Sunday's game. Lockett will have another tough test against the Bears in Week 2. Lockett isn't listed on the initial injury report for Sunday's game against the Broncos, John Boyle of the Seahawks' official site reports. Lockett (foot) agreed Wednesday with the Seahawks on a three-year contract extension with a base value of $31.8 million, including $20 million guaranteed, Mike Garafolo of NFL Network reports. Lockett (foot) didn't play in Friday's preseason game against the Vikings after being expected to. Analysis: Lockett hasn't played since making one catch for 14 yards in the preseason opener against the Colts. In the meantime, Jaron Brown has showed his deep-ball abilities, Brandon Marshall may have carved himself a red-zone role and David Moore looked natural as a returner. There's still plenty of room for Lockett to be a solid fantasy asset, but he's not the clear-cut No. 2 WR he was two weeks ago. Lockett (foot) is expected to play in Friday's preseason game against the Vikings, Gregg Bell of The Tacoma News Tribune reports. Analysis: Lockett missed last week's preseason game against the Chargers with a minor injury he sustained as a result of another player stepping on his foot. 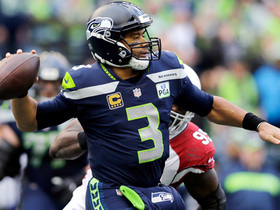 However, it looks like he'll be back in action Friday on a night he should serve as Russell Wilson's top target, as Doug Baldwin is out nursing a knee injury. Lockett will miss Saturday's preseason game against the Chargers while recovering from a sore toe, John Boyle of the Seahawks' official site reports. Analysis: A previous report said Lockett was accidentally kicked in the leg, but it seems he may have actually had his toe stepped on. Either way, Seahawks coach Pete Carroll said the injury isn't serious, so it shouldn't come as any surprise if Lockett returns for the third week of the preseason. With Doug Baldwin (knee) also unavailable, Saturday's game should provide a nice opportunity for a bunch of wide receivers to get playing time with Russell Wilson. Lockett (leg) isn't practicing Thursday, Bob Condotta of The Seattle Times reports. Analysis: During Wednesday's session, Lockett was kicked in the leg, hence the reason for his absence. The extent of the injury is unknown, but coming so close to the Seahawks' next preseason game Saturday doesn't bode well for an appearance. With Doug Baldwin (knee) likely out until the regular season, Lockett is the acting No. 1 receiver due to his experience within the offense and a relatively weak positional group. Lockett posted one reception for 14 yards in Thursday's 19-17 preseason loss to the Colts. Analysis: Lockett didn't have many chances to shine with just one target, but it could be a big season for him after Jimmy Graham and Paul Richardson departed for the Packers and Redskins, respectively. The fourth-year pro mustered 45 receptions for 555 yards and two touchdowns in 2017, but his role could be affected again by incoming wideouts Brandon Marshall and Jaron Brown. Lockett finally appears to be fully recovered from the broken leg he sustained in Dec. 2016, Bob Condotta of the Seattle Times reports. "It's really been a blessing for [Lockett] to be able to get his legs back underneath him,'' head coach Pete Carroll said Thursday. "Last year was a struggle for him. The offseason for certain, but throughout the season itself he was not able to do things in the same manner that he had done it in years past. And that's really just workload. He just couldn't do as much, had to take care of his legs more. 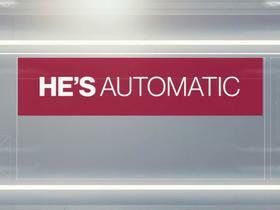 So he's back at it, he's really playing fast, he has no restrictions of any kind or after-effects of the surgery of last year." Lockett had an inconsistent and ultimately disappointing season, finishing with 45 receptions for 555 yards and two touchdowns. 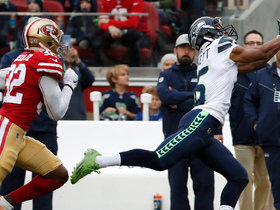 Lockett caught two of three targets for eight yards during Sunday's 42-7 loss to the Rams. Analysis: Well, it was fun while it lasted. Lockett started the season on an 11-game scoreless streak but had scored in back-to-back games heading into Sunday. The diminutive dynamo has taken a back seat in Seattle's offense this season with just two touchdowns and two games of at least 75 yards. He might get luckier this week as Seattle takes on a Dallas defense ranked 26th in the league in opponent receiving touchdowns with 1.86 per game. Lockett brought in four of five targets for 90 yards and a touchdown in Sunday's 30-24 loss to the Jaguars. 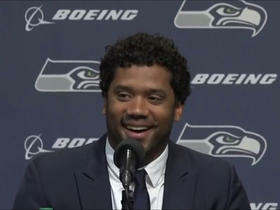 He also rushed once for 10 yards, returned four kickoffs for 85 yards and netted five yards on three punt returns. Analysis: Lockett enjoyed his best day from scrimmage since Week 8, and his 74-yard touchdown reception with 3:42 remaining brought the Seahawks to within 30-23. 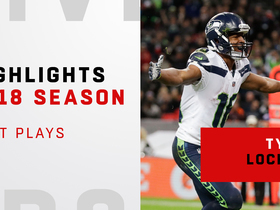 The catch was Lockett's longest of the season as well, and he's posted both of his receiving touchdowns on the season over the last pair of contests. Lockett's production still remains hard to trust, but his big-play upside can certainly emerge in any given week. He'll look to build on Sunday's performance against the Rams in Week 15. Lockett caught both of his targets for 17 yards and a touchdown during Sunday's 24-10 win over Philadelphia. Analysis: Lockett was held without a catch twice each of the last two years. Sunday's bagel was his first this year. 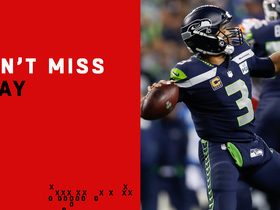 Quarterback Russell Wilson spread his targets to eight receivers, which probably impacted Lockett's involvement. Lockett caught four of five targets for 37 yards in Monday's 34-31 loss to Atlanta. He did most of his damage in the return game, accounting for 197 kick-return yards. Lockett (shoulder) was listed as a full participant at Tuesday's walk-through, John Boyle of the Seahawks' official website reports. Analysis: Lockett was held out of Monday's walk-though, but the team was presumably erring on the side of caution. With him practicing fully Tuesday, the 25-year-old looks on track to go Thursday against the Cardinals, as long as he avoids any setbacks. 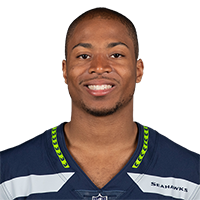 Lockett (shoulder) was a non-participant in Monday's walk-through, John Boyle of the Seahawks' official site reports. Analysis: There's no reason to fret over Lockett's status for Thursday quite yet, since it's likely the Seahawks are simply affording him rest the day after playing in a game. His level of participation Tuesday and Wednesday will shed more light on the situation.